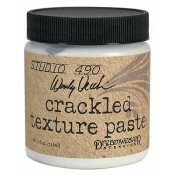 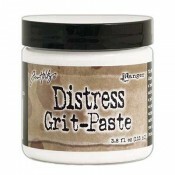 Artist quality texture paste is ideal for adding dimensional layers onto a variety of surfaces. 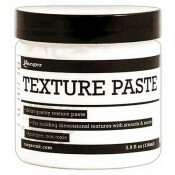 You can customize the paste by inking or painting directly over the dry paste, or by mixing in acrylic paints, re-inkers and other texturizing elements. 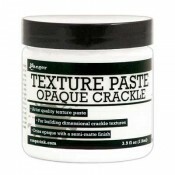 Texture Paste is available in Opaque, Transparent Matte and Transparent Gloss finishes.